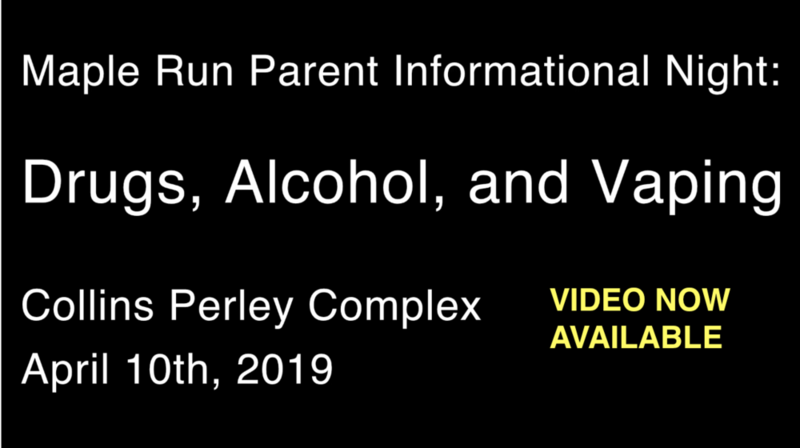 Area experts will be sharing critical information with parents on drugs, alcohol and vaping. We realize that these can be difficult times for families and teens in terms of this issue. Regrettably, adolescence can be a time when young people are faced with the tough choices of drug and alcohol use and experimentation. The MRUSD staff would like to reach out to partner with students and families to help students make healthy choices. This event will be held at Collins Perley. We will share what community experts know about the types of substances some students might be experimenting with. Parents will be given information about what to look for and resources they can access if children are at risk. Childcare will also be offered for this event.